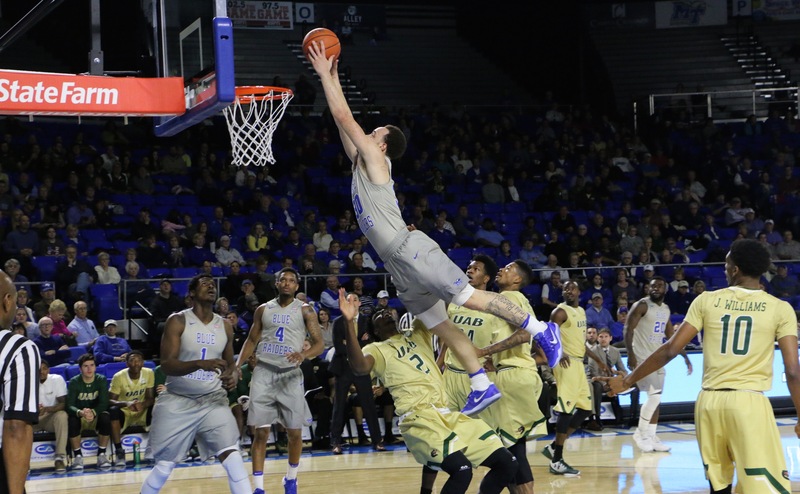 Middle Tennessee forward Reggie Upshaw was awarded the Conference USA player of the week award today, following his 34-point performance in MT’s 60-49 win over the University of Alabama-Birmingham Blazers on Sunday night. 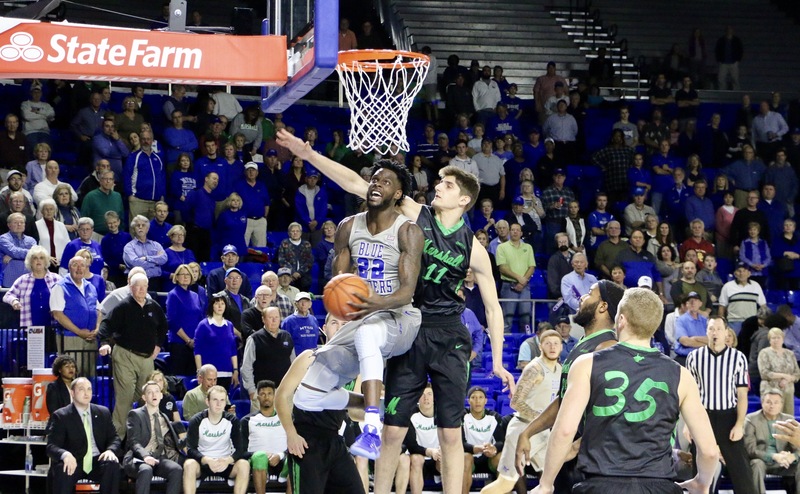 In a game where the Blue Raiders never trailed, UAB big men Chris Cokley and William Lee both struggled to guard Upshaw at all three phases as he made 11 of his 16 shot attempts, including four three-point shots. Improving his three-point stroke was something that Upshaw wanted to do, showing up early before the Sunday morning shoot-around to get some extra work in. Upshaw also crashed the boards, leading the team with nine rebounds. He even recorded four steals on the defensive side of the ball. Last night’s matchup was a vast improvement from the team’s last outing against Georgia State, which saw Upshaw finish with only five points on three shot attempts. According to coach Kermit Davis, Upshaw’s performance was a result of the senior forward’s mentality and hard work in practice. With this game, Upshaw ran his season averages to 15.4 points, 6.6 rebounds and 3.2 assists per game, one of the most well-rounded stat-lines in the conference. The Blue Raiders will hit the road for their next two games, as they take on the Rice Owls (10-4, 0-1) on Thursday; tip-off is set for 7 p.m.